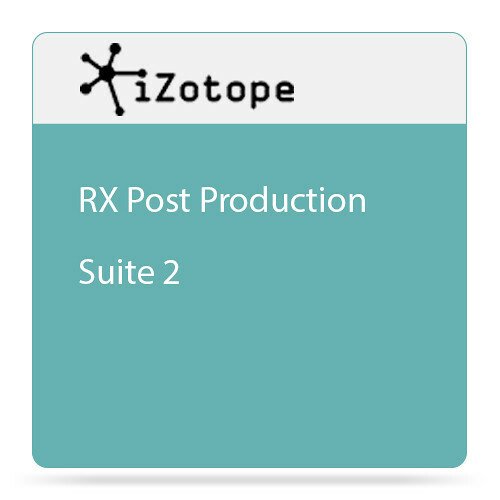 Available for download, this second iteration of the iZotope Complete Post Production Suite provides everything you'd need to edit, mix, master, and address audio in a post-production context. Included are Neutron Advanced—a powerful channel-strip style mixing plug-in which offers EQ, transient shaping, compression, a track assistant, and more—as well as RX 6, which adds De-wind, De-rustle, Mouth De-Click and other modules to its already extensive list of processes. The Insight meter will give you an exhaustive measurement possibilities over the level, frequency content, stereophonic spread, and loudness history of your mix, while RX Loudness Control will help you achieve broadcast standards in volume without ever dangerously exceeding them. As this constitutes a lot of audio processing power in one bundle, an all-access pass to Groove3's tutorials is also provided, ensuring you'll have resources for 12 months when it comes to learning iZotope's plug-ins—as well as the platforms of various other companies whose wares you may already own. Finally, purchasing the RX Post Production Suite will give you the opportunity to download any 50 sound effects of your choosing from ProSoundEffect's vast collection of sounds.